← Dr. Banks, CTE/STEM Instructor wins the Middle School Program Excellence Award! Mr. Ricky Freeman, Welding Instructor with Richmond Community College, joined the SCS C TE Team in the Fall of 2013. Since coming to teach on the Scotland High School campus, the manufacturing program of study has grown with an average of 80 students being served each year. 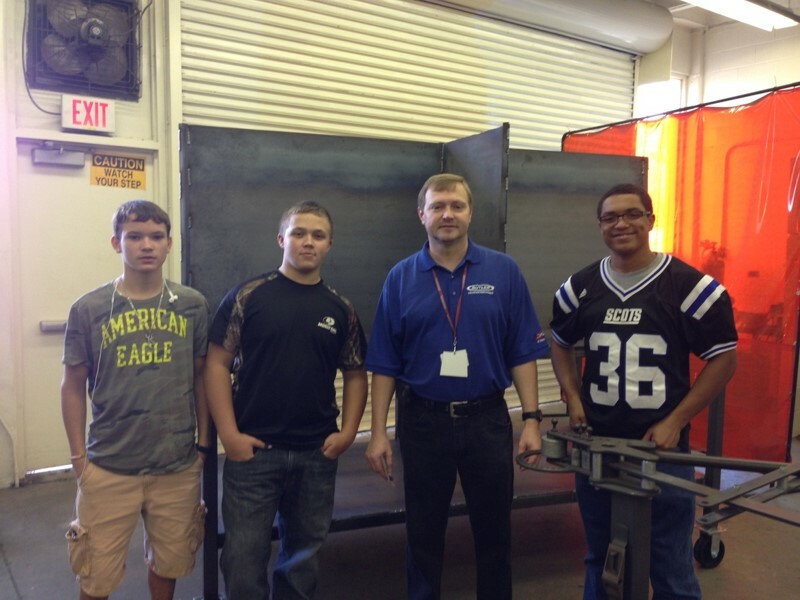 A diverse population of students fill the seats in his classes daily to learn the importance of welding and the careers that are available in the Manufacturing Industry. Courses consist of Basic Cutting Processes, Stick Plate Welding, TIG and MIG Plate Welding, and Symbols and Specifications of welding. Through the Career & College Promise initiative, students in this CTE Pathway earn dual credit for high school and college with all credits eligible for transfer to a post-secondary institution. Students also have the opportunity to work towards a college certificate and/or diploma while in high school. This program intends to fill the skills gap present in the manufacturing industry by providing students with the knowledge and skills necessary to be successful in today’s demanding workforce. Over the next decade nearly 3 ½ million manufacturing jobs likely need to be filled.